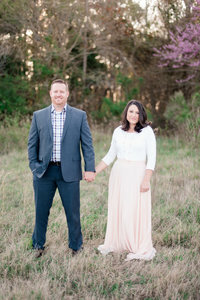 Luke and I had so much fun shooting this sweet couple for their Willam and Mary Alumni Engagement. Being alumni’s to William and Mary, the beautiful campus was the perfect backdrop for Tyler and Kate’s Engagement session. I also think that we picked the most perfect day all year! Fall in Williamsburg is seriously the best and on this particular day the leaves were at their peek and the weather was absolutely amazing! I wish it could be fall all year around! These cuties will be getting married next year at Bruton Parish Church. We have never shot a wedding in this historic church so we are excited to see what a wedding looks like in the heart of Colonial Williamsburg. I can just imagine the excitement in the streets as Kate and Tyler make their way out of the church while the bells ring. ( I am not completely sure if the bells will ring, but a girl can hope)! As we strolled the campus of William and Mary, we laughed and got to know this sweet couple. I love how geninuine and approachable these two are. They were down for anything and were such good sports. Kate is such a beauty and I am not sure if it is her name, her mannerisms or both, but she reminds me of The Duchess Kate herself. I cannot wait to see this girl as a bride. She is going to be radiating! Thank-You Tyler & Kate for such a fun afternoon venturing around William and Mary. We enjoyed getting to know you and we cannot wait to celebrate you two next year! To see more Engagements visit the links below! To see some of our recent weddings visit the links below!